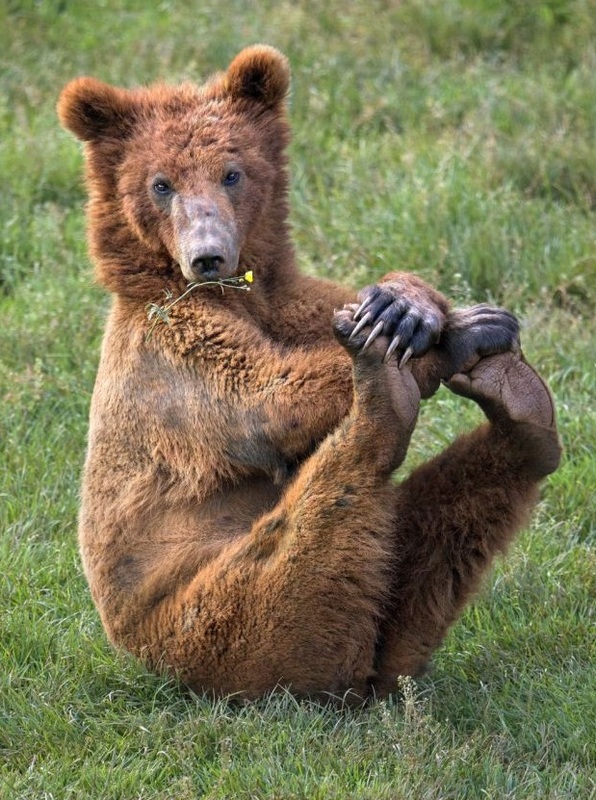 It must be Friday: a bear doing Pilates? OK, so it’s Friday and sometimes we all need to relax and chill a little. This brown bear is having a nice work-out, maybe he’s trying teaser? Whilst I am of course a big Pilates and fitness fan, I do not suggest that you make a habit of eating raw dandelions whilst you exercise! But cooked they are nutritious and delicious.